The Board of Directors of the independent research and investment consultancy The Singularity Group AG, founded in October 2017 and based in Zug, has appointed Eric G. Sarasin as Chairman of the Board of Directors. As a member of the Board since August 2018, Sarasin will take over the chair as of 28 March. In his new position, Sarasin is set to break new ground by developing innovation ambitions in forward-looking areas, such as new technologies, digitalisation or blockchain. The company managed by him aims to make innovations with exponential potential investable beyond the technology sector. says Evelyne Pflugi, CEO of The Singularity Group. Competition in the innovative field constantly brings forth new pioneering achievements. This trend opens up new investment opportunities and requires new investment strategies. To date, investors often concentrate on technology funds and tech venture capital. The Singularity Group thinks outside the box by identifying innovative enterprises in various sectors and value chains with exponential growth potential. For this purpose, the company has defined a new equity classification system that allows it to pick out a series of listed enterprises from all countries and sectors that generate value through exponential technologies. The universe of twelve defined sectors comprises, among others, 3D printing, blockchain, neuroscience, and nanotechnology. Since its establishment in October 2017, The Singularity Group has put this philosophy to good use and joined forces with FactSet and Nasdaq to create the Nasdaq Singularity IndexTM. The Singularity Fund was launched in October 2018. It provides a unique investment perspective that covers the entire spectrum of future investment subjects. 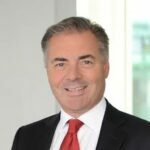 The post The Singularity Group Appoints Eric G. Sarasin as Chairman of the Board of Directors appeared first on Fintech Schweiz Digital Finance News - FintechNewsCH.